The Atlanta Braves are still in the hunt for the NL East title but despite the Washington Nationals’ struggles they’ve been unable to pick up any ground on their rivals. They’ve had their hands full with the underachieving Philadelphia Phillies who have won the first two games of this series. The Braves will try to avoid the sweep on Sunday as a pair of quality lefthanders face off at Atlanta’s Turner Field. Good pitching matchup to close out this three game set as Philadelphia’s Cole Hamels and Atlanta’s Paul Maholm do battle. 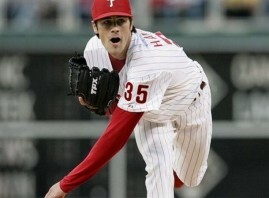 Hamels has been one of the few bright spots for Philadephia this season with a 2.99 ERA overall. His ERA is a little higher on the road (3.11) but the Phillies have won 9 of his 13 road assignments. He’s been very sharp in his most recent starts–in his last three starts he’s got a 2.38 ERA in three Phillies wins. Paul Maholm has been very good all year and that didn’t change went he was acquired by the Braves from the Chicago Cubs. He’s pitched well but his team hasn’t held up their end of things–in his last three starts he’s got a respectable 3.05 ERA but the Braves haven’t been scoring runs in his support. Atlanta has last two of his last three starts due in large part to a pitiful 1 run scored in games against San Diego and Washington. Neither team has put up good numbers against left handed pitching but even though Philadelphia’s YTD loss against southpaws has been worse we’re more concerned about Atlanta. Philadelphia has lost money in most circumstances this year so it’s hard to tell whether they have a problem hitting LHP or whether they’ve just been a bad team for most of the year. With a team that has won 74 games like Atlanta the fact that they’ve got a losing record against southpaws suggests a serious liability. Unfortunately we’re not getting a lot of value with Philadelphia–they’ve been overpriced all year and the marketplace is well aware of the Braves recent struggles. 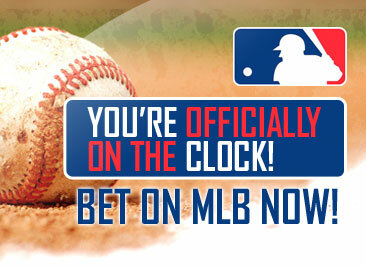 In any case, we don’t like their chances of changing their fortune against Hamels. We’ll back the Phillies and look for this one to go Under the total.